Click on " New Registration" link. Redirected to instruction page. Click on Proceed button. Enter personal details and contact information. Click on Register button. Pop up message consist of Candidate ID and other information. Click on OK button. Change the password if required. Click on update button. Click on "Proceed to step 2" button. Pay application fee using credit/debit card or by net banking. Choose preferred city. Then click on Save & Proceed button. Enter qualification and address details. Click on save and proceed button. Upload latest photograph and signature in specified format and size. Click on Save & Proceed button and take the printout of Acknowledgement form. Application Form Date: The Application Form will be available on the official website of All India Institute of Medical Sciences(AIIMS) from 30th November 2018 to 25th March 2019. Mode: Candidate appearing for AIIMS MBBS 2019 is required to fill-up online application. Discrepancy: If in case there is any discrepancy such as Date, Time, Admit Card etc. the candidates should immediately inform the Assistant Controller of AIIMS, New Delhi. The information provided on the Application form for AIIMS MBBS 2019 will be considered as final for all purposes. Disqualification: Providing wrong information or filling duplicate Application Form will entail disqualification and shall render the candidate unfit for admission. Cancellation: If the candidate does not fulfill the AIIMS MBBS 2019 Eligibility is detected at any stage, the candidature/admission will be treated as cancelled and no further correspondence in this regard, will be entertained. Rejection: Incomplete application form for AIIMS MBBS 2019 will be rejected and no correspondence will be entertained by the Institute in this regard. Required Details: It will be the responsibility of the candidate to ensure that correct address, mobile number, and E-mail ID is filled in the AIIMS MBBS Application Form along with other details. Note: Complaints received after the examination will not be entertained. Payment Mode - The AIIMS MBBS Application Fee payment can be made through online mode only. Mode of Payment - The payment can be done using debit/credit card or net banking. After uploading the Photo/Thumb/Signature and all other details of the candidate then the registration slip will be generated. Uploading Photo/Thumb/Signature that is not as per the instructions is the most common reason for rejections of applications. Kindly read the Instruction carefully to avoid rejection of an application. It is preferable to keep the properly taken Photo/ Thumb/ Signature before filing the application form. One (1) recent colour passport size photograph with white background is required. The dimensions of the photograph should be 3.5*4.5 cms (width*height). Black & White/Polaroid photographs are NOT acceptable. Photograph taken by mobile phone camera is not accepted. There should not be blur photograph while enlarging, the photograph should be professionally taken. The photograph must be taken recently and should not be taken more than six months prior to the start of online registration. Photograph size should be 3.5 x 4.5 cms so draw a box having size 3.5 x 4.5 cms (width*height) on the sheet of white paper and paste the photograph inside the box. Select the area having photograph only, not the whole sheet and scan the photograph at 200 dpi. The scanned photograph should be saved in supported formats such as .jpg/.jpeg/.gif/.png. Size of the photograph should be between 50 KB to 100 KB. Click "Choose File" button right to the photography field. Select the scanned photograph "example.jpg" file from saved location and click to "Open". Draw a box on a plain white sheet with the width of 6 cms and height of 3 cms and candidate should put the signature inside the box. 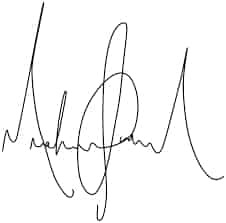 The signature should be done with thick point Black/Blue pen only. Signatures should not be done with only Initials or in CAPITAL letters. Scan the signature where the area you have signed but not the whole sheet and should scan it at 200 dpi. Candidates must make sure that the signature should not be blurred while enlarging it. Save the scanned image as "Signature.jpg". Supported formats of the image include jpg/jpeg, gif, png. Keep the size of the image between 10 KB to 50 KB. It is advised to upload Signature to correct specified field. Make sure that there is no any mistake in uploading Signature. Click “Choose file” button right to the signature field. Thumb impression should be of size 4 x 3 cms (width * height) so it is advised to draw the box of size 4 x3 cms on a plain white sheet. Thumb impression should be taken in Blue/Black ink stamp pad and put left thumb gently on the stamp pad and roll lightly in a horizontal manner. Only the thumb impression area is required to scan not the whole sheet and scan the left thumb impression at 200 dpi. Make sure that thumb impression should not be blurred while enlarging it. At last, save the thumb impression in the specified file format such as .jpg/.jpeg/.gif/.png and size should not increase more than 50 kb and not less than 10 kb. 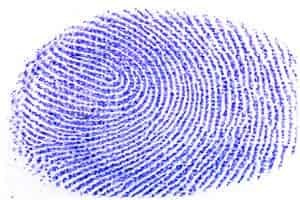 Candidates should not make any mistake in uploading the Thumb Impression. Candidates must prefer the Left Thumb Impression for the correct specified field to upload. To upload "Left Thumb Impression.jpg"
Choose file” Button right to the Left Thumb Impression field. Name of the Qualifying Exam and Status. Scores Secured in 10th Standard. The candidates will have to click on the given box if the correspondence address is same as the permanent address. How to make corrections in AIIMS MBBS Application Form? Today on 8th March, I tried, but could not succeed. What do I do? The correction facility can be accessed in your candidates' login page for NATA on the Official Website. However, keep in mind that you won't be able to correct all the fields on your NATA Application Form. Only selected fields such as Aadhar details, image uploads and a few more can be corrected on the NATA Application Form. Since some fields are editable till the last date of submission of registration form, the status can only be finalized after this period. What is the application fees for students falling under OPH category? The application fee for students falling under OPH category is nil. OPH students are exempted from paying application fees. Are original documents required for admission in AIIMS? Candidates without original documents cannot go through the admission process of AIIMS. Hence, original documents are required for admission process. What are the documents required to upload along with the AIIMS MBBS application form? What are the rules the reserved category should be aware of? Can I make changes in the AIIMS MBBS application form after submission? All the other details can be edited till the last date of registration. From where will I get the password to log in? The candidate interested can fill the form and on submission, candidate id and password will be sent to the registered email id and mobile number. After submission, a new password will be sent to your registered email ID. What is the application form fees?